and by forwarding this newsletter to your friends! 4-7 pm, F X McRory's . Leap into the St. Patrick's Day Dash. 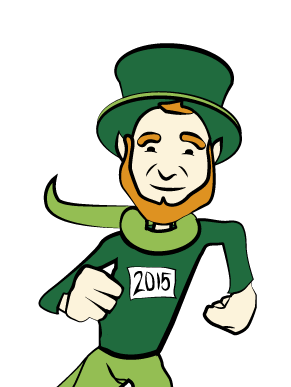 This is the 8th time the St. Patrick's Day Dash has occurred in a leap year and to celebrate this calendar oddity, there's a special Leap Day Dash Deal of $29 (February 29, get it?) vs. an online registration fee of $40. This offer is good ONLY with in-person registration at F X McRory's in Pioneer Square on Monday, February 29, 4-7 pm. Bring your friends and have a pint and enjoy other prizes and surprises to go along with the special entry fee , so BE THERE!! For more details, visit stpatsdash.com . 2 - 4 pm, T S McHugh's. At T S McHugh's Restaurant, 1st & Mercer, Seattle. Contest Admission is free and Judging starts at 2 PM. Entries should be delivered to the restaurant between 12:30 PM - 1:30 PM and contest winners will be announced at 3 PM. Three categories of entries and free sampling afterwards! For the Rules and other details, contact SodaBread@irishclub.org or 206-321-4576, or visit EventBrite.com. 10 am, St. Patrick's Church, 2702 Broadway E (1 block NE of Roanoke & I-5), Seattle . This annual Mass for Peace in Ireland is this year being held at St. Patrick's Church. An Irish Choir will be accompanied by a Bagpiper, Harpist and Pianist. Presider and homilist is Seattle University's President Stephen Sundborg, SJ while Seattle Police Chief Kathleen O'Toole, a member of Northern Ireland's Patten Commission from 1998-1999, will be a guest homilist. For more details, email Mass@irishclub.org. Noon, F X McRory's, 419 Occidental Ave S, Seattle . This is also our quarterly Irish Seniors' Luncheon. 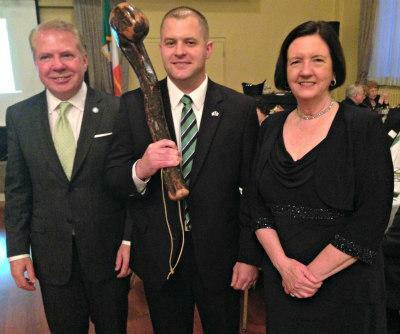 Proclamations of Irish Week 2016 will be issued by Seattle Mayor Ed Murray and also by representatives of the City, County and State, while Marshal Sashes and Ceremonial Starter Whistles will be presented. 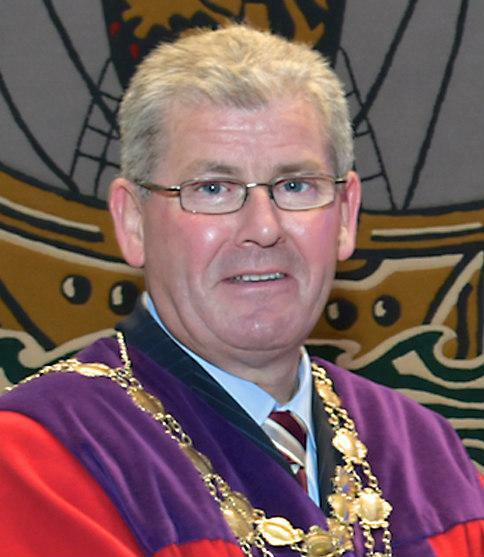 Among the special guests will be the St. Patrick's Day Parade Grand Marshals Chief Kathleen and Dan O'Toole, the Honorary Grand Marshal Casey McNerthney, Galway Mayor Frank Fahy, and other dignitaries. For luncheon reservations (required), visit EventBrite.com or email JaneS@irishclub.org. St. Patrick was originally brought to Ireland by Irish pira tes around 400 AD. 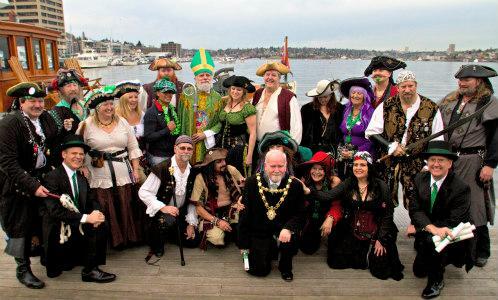 Over 1 600 years later, Seattle's Pirates of the Emerald Isle will re-create that landing of St. Patrick, dropping him off at South Lake Union (near MOHAI) at 6 pm. All are welcome to join the fun for free by climbing on board the Ride the Ducks' Boat at F X McRory's at 5 pm SHARP for the trip to South Lake Union. The Ducks Boat will bring us back to McRory's by 6:30 pm for the Green Stripe Laying. Kids are welcome and there's no admission fee. For more details, email GreenStripe@irishclub.org . 7 pm, on 4th Ave from Jefferson to Westlake Park. In the 1960s, John Doyle Bishop started this custom of painting a Seattle street green for St. Patrick's Day. Join us in this mini-Parade to mark a green stripe down the center of 4th Avenue marking the route of the St. Patrick's Day Parade. The painting starts on 4th Avenue from Jefferson Street at 7 pm. You can participate for free by climbing on board the covered flat-bed truck or the Ride the Ducks Boat at 6:30 pm at F X McRory's. Children and adults are all welcome! For more details, visit irishweek.org or email GreenStripe@irishclub.org. Administration Building on 4th Ave at Jefferson. That will be immediately followed by trumpeters playing the Irish and US National Anthems. Then at 12:30 pm, the Marshals' whistles will sound to officially start Seattle's 45th annual St. Patrick's Day Parade. The parade heads north on 4th Ave to Westlake Park at Pine Street where the Reviewing Stand is located. Seniors are welcome to ride the parade route for free in the " Seniors Shamrock Shuttle", a Ducks Boat which can be boarded at 4th Ave and James at 12 noon. To reserve their seat on the Duck's Boat, seniors should contact 206-915-1878 or Ducks@irishclub.org. The Monorail will be free from 1:30 pm to 2:30 pm to ride from Westlake to the Seattle Center. At approximately 2:30 pm, Parade closing ceremonies will be held on the main stage in the Armory during the Irish Festival. Please plan to join us there! For more details, visit irishclub.org. Admission to all activities on both days is FREE. 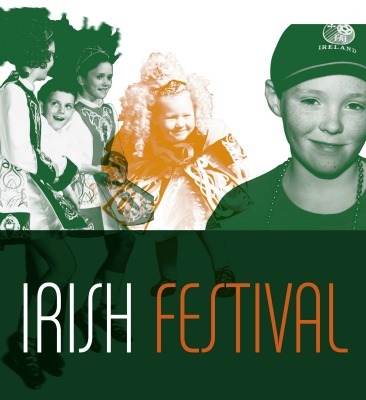 The Festival features non-stop Irish music, singing and dancing, booths selling Irish and Celtic products, Irish workshops, lectures, cultural displays, children's contests and activities, Irish Language, Genealogy and History Workshops, Art Exhibits and more. 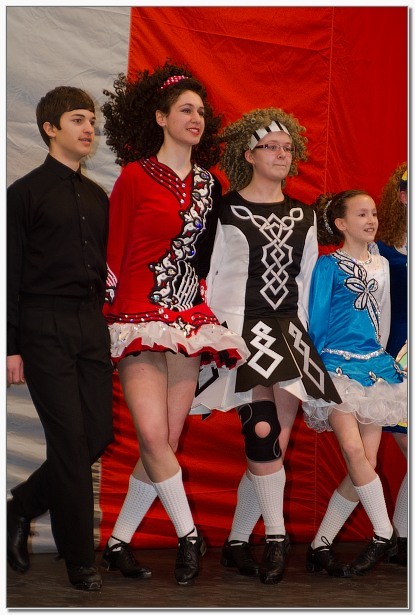 Family-oriented activities include wonderful Irish Musicians along with Champion Irish Stepdancers from around the Pacific Northwest. Events for children include the "Smilingest Irish Eyes Contest" and the "Most Irish-Looking Face Contest", and there's a hands-on Children's Activities Center where Lego Artist Dan Parker will recreate some of the building and street scenes from 1916 Dublin during the Easter Rising . 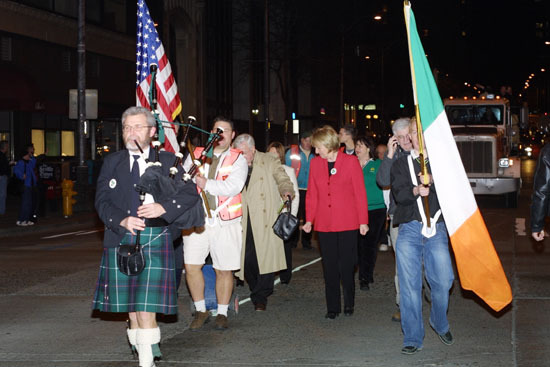 SEATTLE'S CONNECTION TO THE 1916 EASTER RISING. On Easter Monday, April 24, 1916, a group of Irish patriots rose up in armed rebellion in Dublin in an attempt to end British rule in Ireland. Though initially unsuccessful, the 1916 Easter Rising was the inspiration that led to the Irish War of Independence and the founding of the Irish Free State in 1922. One of the armed rebels in Dublin that day was Lily Kempson, a 19-year-old who after the Rising escaped to Seattle where she married Matt McAlerney and raised a family of seven children. Lily died in Seattle in 1996, aged 99, the last surviving rebel combatant from 1916. The Irish Festival will mark the 1916 Centenary and Lily Kempson McAlerney's role in it with photo exhibits and talks about the Rising. For more details on Lily, visit Lily1916.com. 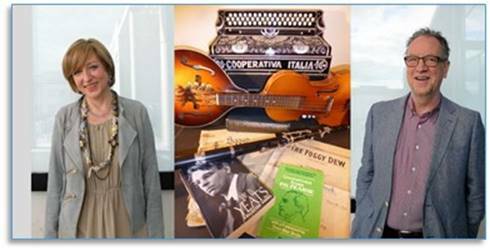 MUSICIANS and POETS, Anne-Marie Fyfe and Cahal Dallat. Born in Cushendall, Co. Antrim, Anne-Marie Fyfe has won the Academi Cardiff International Poetry Prize, since 1997 has run poetry readings & classes at London's leading live literature venue, the Troubadour, is poetry coordinator for the John Hewitt International Summer School in Armagh, and is a former chair of the UK's Poetry Society. Also a Co. Antrim native, Cahal Dallat is a poet, musician and critic who reviews literature and the arts for the TLS and Guardian among others, and since 1998 has been a regular contributor to BBC Radio 4's weekly Saturday Review. He won the Strokestown International Poetry Competition in 2006, and his latest collection is The Year of Not Dancing. The Coopers again grace the Irish Festival with their wonderful display of thousands of antique Irish postcards, plus 48 original reproductions of Bartlett's Views of Ireland dating from the 1840s, done just a few years before the Great Potato Famine. 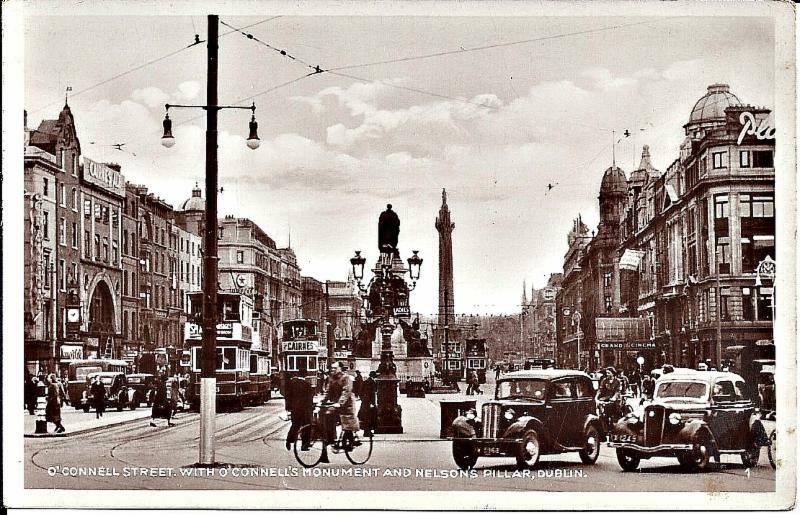 The Coopers' collection provides an interesting glimpse into the social history, cultural history and material culture of Ireland, especially in the late 1800s and early 1900s, considered to be the "Golden Age of Postcards" . On Sunday afternoon, a lucky winner will go home after winning a two week vacation in Ireland. You do not have to be present to win, but you must visit the Irish Heritage Club booth in order to participate in the draw. More details by emailing Raffle@irishclub.org. In one of the Armory Loft Rooms during the Irish Festival . Now in its 19th year, Irish Reels presents a wonderful collection of refreshing and exciting new works in Irish cinema. Free admission both days. 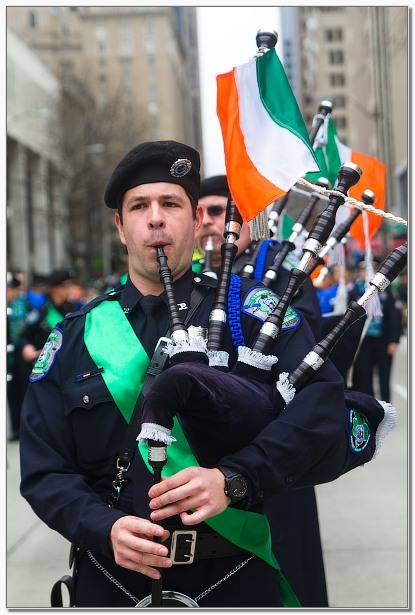 Among the films being shown is The Blue & The Green: Seattle Police Pipes & Drums Tour of Ireland , a milestone in the band's mission to honor fallen police officers and build positive relationships between poli ce and communities everywhere. Also, A Terrible Beauty , a docudrama telling the story of the men and women of the Easter Rising in Dublin in 1916. See the full film schedule at irishreels.org . 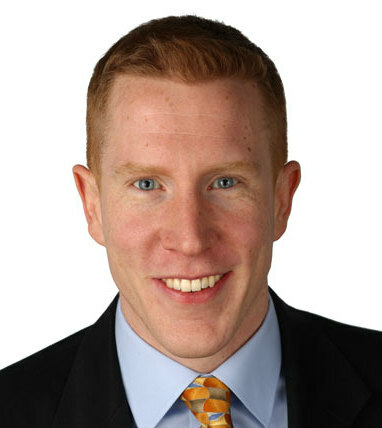 Organized by Irish Network Seattle, Mayor Frank Fahy and the visitors from Seattle's Sister City of Galway are hosted at a St. Patrick's Day Happy Hour on Saturday, March 12, 5-7 pm at the Hook and Plow, Marriott Hotel on Seattle's Waterfront. This is a social event and all are welcome. No admission fee - visit irishnetworkseattle.org for details. The first wave starts at 8:30 am from 3rd & Mercer near the Seattle Center with the last wave (the walkers) going off 20 minutes later. Started in 1985 as a training event for Irish Olympian Regina Joyce, The Dash is now in its 32nd year as Seattle's largest single-distance run where the winners cross the finish before the last person starts, filling nearly four miles of Seattle streets with a ribbon of green. There's no race-day registration. For details, visit stpatsdash.com. Sunday, 6 - 9 pm, F X McRory's. down F X McRory's to raise funds for the Belltown area treatment program that serves the homeless, addicted and mentally ill. The proceeds help fund the Center's 56-units of mixed transitional housing and a separate transitional housing unit for women. 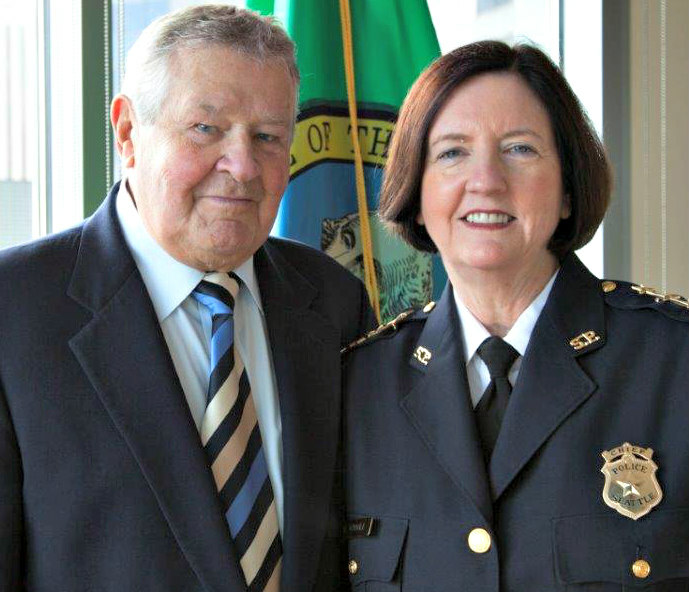 Among the special honorees at the dinner is Seattle's Police Chief, Kathleen O'Toole. Tickets ($100 suggested) at mtcenter.org. 5:00 pm - 7:00 pm , at the Knights of Columbus Banquet Hall, 722 E Union (1 block west of Broadway), Seattle. Join members of the Friends of St. Patrick, Irish Network Seattle, the Seattle Gaels and the Irish Heritage Club to start the St. Patrick's Day Celebrations in style! 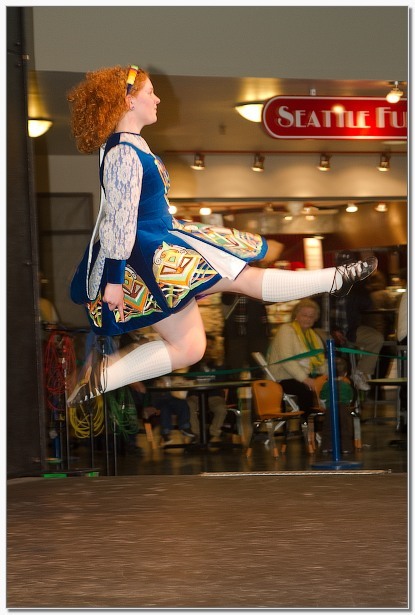 Entertainment provided by the Emerald Bards, the Seattle Police Pipes and Drums, and the Tara Academy Irish Dancers. Tickets are $30 per person which includes two free drinks, hors d'oeuvres and free parking. Black-tie or business attire, and reservations are requested. For details, call 425-582-2688 or email FOSP@irishclub.org. 6:30 pm, at the Knights of Columbus Banquet Hall, 722 E Union (1 block west of Broadway), Seattle. Join Seattle Mayor Ed Murray, Seattle Police Chief Kathleen O'Toole and other dignitaries and guests at this black-tie (optional) dinner and dance celebrating the 76th anniversary of the Society of the Friends of St. Patrick in Seattle. The dinner and a short auction will raise funds for educational scholarships to local institutions. Tickets are $100 per person and include parking, the Irish Community Happy Hour (see above), wine with the meal and dancing afterwards. For tickets, call 425-821-3044, visit fosp.org , or email Friends@irishclub.org . 9 am - 5 pm, at Luther Memorial Lutheran Church Hall, 13047 Greenwood Ave N, Seattle. This all-day workshop will provide a broad overview of Irish genealogical research, benefiting beginners and seasoned genealogists alike. It is practical, wide ranging, factual and informative. Cost is $38 per person which includes a box lunch. For reservations and more information, visit irishclub.org, or email Genealogy@IrishClub.org. The annual Gaelic Games Open Field Day is at Magnuson Park, 7400 Sand Point Way NE, Seattle, from Noon to 3 pm for anyone interested, men and women, girls and boys, to try their hand at any of the games of Hurling, Gaelic Football or Camogie. For details, email Gaels@IrishClub.org or visit SeattleGaels.com. HAVE YOU RENEWED YOUR IRISH HERITAGE CLUB MEMBERSHIP FOR 2016? All memberships are calendar year memberships, expiring on December 31. Please show support for Irish activities in the Seattle area by making sure your membership is current. Membership is open to anyone interested in "Things Irish". Dues are $20 (individual), $30 (family), or $100 (business), and you can pay by cash, check, or Secure Credit Card. For more information, email Membership@irishclub.org or visit irishclub.org . 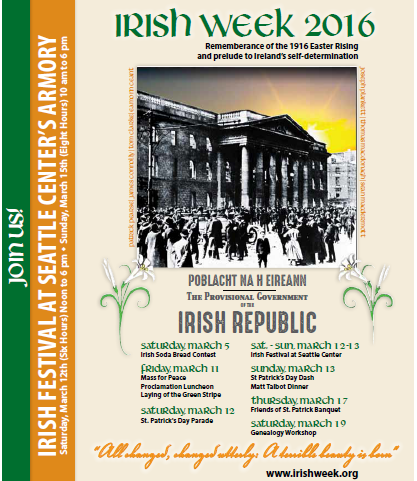 This newsletter is mailed on behalf of the Irish Heritage Club and its affiliated programs including: Ceol Cascadia Irish Music Association; Friends of St. Patrick in Seattle; Irish Network Seattle; Irish Reels Film Festival; Seattle Gaels Gaelic Football, Hurling & Camogie; Seattle Galway Sister City Association; Seattle Irish Immigrant Support; and Tacoma Rangers Hurling & Gaelic Football. For more information on these programs, visit IrishClub.org. Funding assistance provided by the Irish Abroad Unit of the Department of Foreign Affairs in Dublin is gratefully acknowledged. Copyright © 2016 John Keane who is solely responsible for the content. All Rights Reserved.